What does participation look like at Oulton? In January 2017, we conducted another staff and pupil audit about PE. The results demonstrated a higher percentage of children felt more positive towards the subject and participation levels in after school clubs had also risen. Oulton Primary’s Vision: Why is it important? 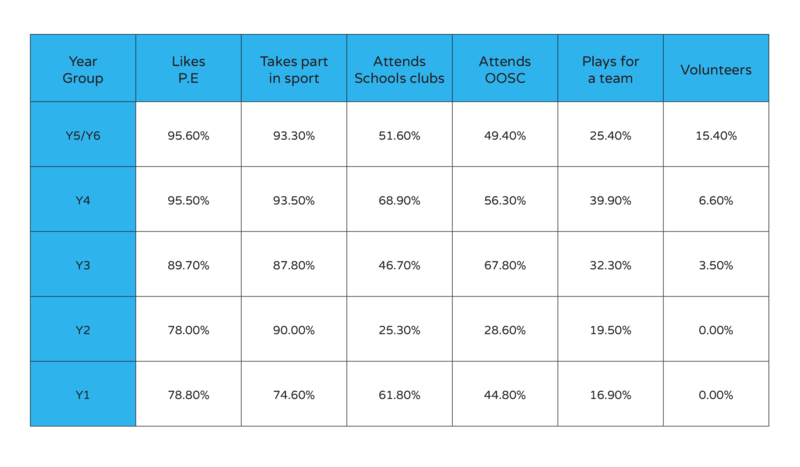 Each aspect of this can be achieved through P.E and it has been proven that ‘sporting activities’ have a unique role in supporting improved outcomes for children. Physical Education promotes and develops personal, social, intellectual and physical skills. It is about developing pupils’ enjoyment, confidence and skill in physical activity and introducing them to the pleasure of sport. It is a practical subject, which gives all pupils, irrespective of age, gender, abilities or ethnicity, opportunities for participation, enjoyment and success. It is about promoting enjoyment of exercise and knowledge of fitness in all pupils that will hopefully be continued into adulthood, as part of a healthy lifestyle. 2 hours of curriculum P.E each week which takes the form of swimming, P.E or Games. Funding is used to improve school provision in curriculum time as well as further extend extra-curricular opportunities. As a school, we are free to determine how this money is spent to improve the quality and breadth of P.E and Sport provision. At Oulton, there is a clear action plan in place, outlining key areas of development and how this money will be spent and monitored. (Action plan is attached at the bottom of the page). We encourage pupils to take as many opportunities as possible and all staff are welcome to support us in our adventures. School Sports activities: e.g. 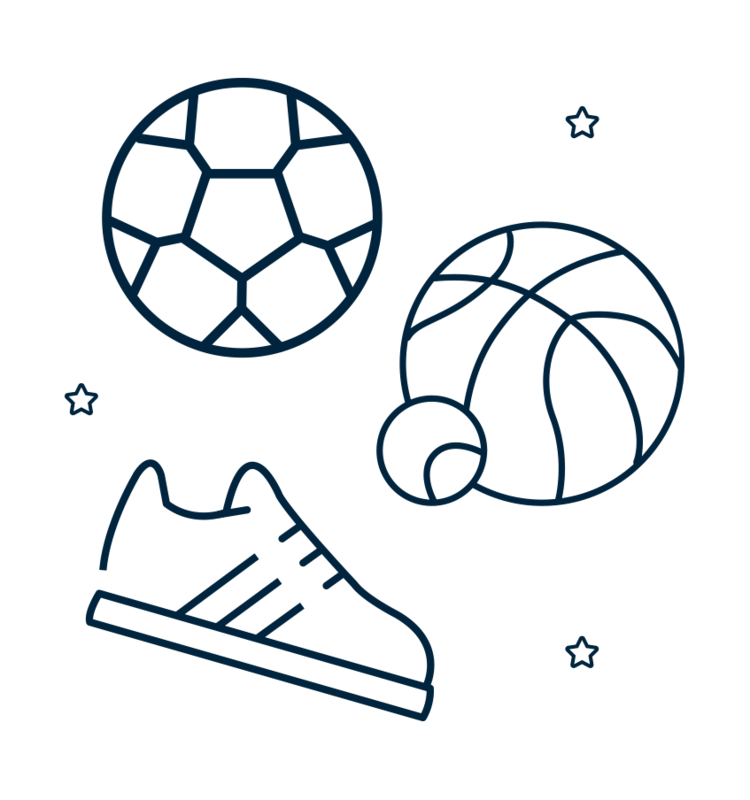 football and netball tournaments, x-country, sports hall athletics etc. Following the introduction of the Sports Premium, we have concentrated on staff development and resources to ensure Oulton provides high quality P.E for all. Initially, training was bought in for EYFS staff through joint provision with Rocky in their P.E lessons. This now runs as extra-curricular provision one lunch time each week and incorporates sports leadership with Y5/6 pupils. CPD has been put in place for all teachers and HLTAs following an audit of staff skills. A gymnastics training session was held with Gym Magic in Pudsey and resources were bought in from British Gymnastics to complement this. The school pays into the Active Leeds SLA (£1000 p/a). As part of this, we have accessed free staff CPD through various coaches which has mainly been accessed by KS1 staff. This also entitles us to sports competitions and activities, as well as giving us the chance to experience new sporting activities such as triathlons, water aerobics and golf. As a school, we also bought into the Real P.E scheme. This is a scheme of progression materials to support the development of skills in P.E lessons. The scheme itself has cost over £2000 of the Sports Premium spend. Oulton delivers all clubs free of charge as staff give their time for free. Some of the funding has therefore been used to ensure resources match the needs. For example: hurdles have been bought for the athletics club. These will also be used for KS2 athletics curriculum teaching. Football posts have also been resourced for football club. These purchases will also help Oulton participate in both inter-school and intra-school competitions which will help promote physically active children. Please see below for our Sports Premium breakdown.